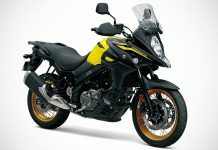 Bollywood actor Salman Khan has posted an image of his latest new bike, a Suzuki Intruder M1800RZ limited edition in his Facebook page. Like MS Dhoni and John Abraham, Salman Khan too is known for his passion for bikes. He is the proud owner of the legendary Suzuki Hayabusa and recently rode a Suzuki superbike in his blockbuster ‘Ek Tha Tiger’. 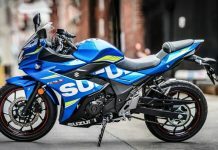 He recently bought himself a new bike the limited edition blue Suzuki Intruder M1800RZ. Its a cruise bike powered by a massive 1.8-litre twin cylinder engine and priced at Rs.15.58 lakhs (On-road price, Pune). 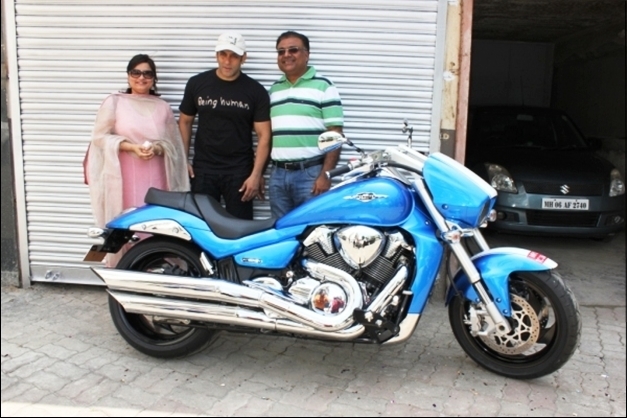 Incidentally Salman Khan is also the brand ambassador of Suzuki’s latest commuter bike Hayate. 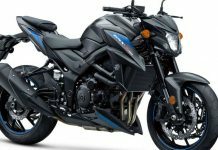 Refresher – Suzuki Intruder is available in two variants in India. While Salman has chosen the more powerful variant powered by a 1.8-litre engine, the second variant is the M800R which is powered by a smaller 800cc engine. Also see – Salman Khan reveals why he doesn’t care much for cars?